After The Sale, Who’s Securing the Transaction? T.J. Maxx and HomeGoods paid out $168 million in 2007 from the theft of consumer credit card information related to purchases at its many stores. More recently, the impact for Target has been deeper and more damaging, according to some analysts. The company set aside more than $1.2 billion for legal, settlement and regulatory claims according to the company’s filings. Moreover, the trend is expected to grow. 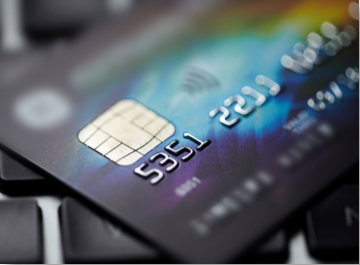 Executives responsible for credit card information should be looking to minimize their associated risk and liability. Many businesses that handle credit card information are not adequately prepared for the ongoing statutory and compliance changes. Their systems are not set up for these changes; the encryption, business processes, and compliance management systems are probably in need of improvement. Credit card data within a sales order or invoice. Management of accepted and declined charges. Settlement of charges and funding. Accounts receivables, liabilities, and cash reconciliation. The smart money is looking to outsource the credit card acceptance process. Any company that handles credit card data has risk. They are mitigating risk from payment acceptance programs by having their systems avoid credit card data entirely. To that end, we have partnered with Heartland Payment Systems, Inc., an industry leader in payment processing to help you reduce the risk and liability of your credit card acceptance program. Rarely do you find a solution that so significantly reduces your risk but is simple and straightforward to implement. Here is how it works. We have developed two easy-to-implement solutions that integrate SAP to Heartland’s payment processing systems. In both scenarios, Heartland manages the credit card data, merchant processing, approval, authorization processing and funding; you do not touch the data, minimizing your risk of credit card payment acceptance! Our Level 1 solution, Sales and Distribution (SD), provides a PCI-compliant solution that communicates with Heartland to provide authorization and rejection details on each transaction. Furthermore, Heartland communicates with the banks, merchants, sales order details and accounts receivable. This model takes about a month to implement, and your payback should be realized in three to four months, not to mention your reduced risk. Our Level 2 solution addresses more complex credit card processing scenarios such as e-commerce, payment portals and CRM integrated with SD. While it tends to be a bit more complex according to the various transactions and approval points, the business processes are consistent with these sites. This PCI-compliant solution may take a little longer to implement, but the time to results is relative. We anticipate your ROI will be achieved in months, not years. Heartland is an industry-leading, PCI Level 1 Certified Payment Processor. Heartland handles the credit card data, so you don’t have to! Titan’s Payment Processing solution enhances PCI Compliance within your SAP landscape. As the regulations continually change, your data is secure and in compliance. The reduced risk is reason enough to consider this solution. However, when you consider the short- and long-term OpEx savings, this approach is unique. Transparent Pricing: Heartland’s Merchant Bill of Rights guarantees you to know exactly what you are paying and to whom. Reduced Fees: Heartland handles the transaction from end to end, eliminating middlemen and their fees. Time to Results: Implementation duration is weeks, not months or years. Reporting and Analytics for Payment Processing. Obviously, no two companies are alike, and you may have additional requirements. However, you are assured of your risk reduction. Not sure what disclaimer you are looking for? By implementing this safe, secure, integrated payment acceptance solution, you reduce your risk of chargebacks, compliance, liabilities and claims. The benefits of reduced fees, award-winning service, enhanced analytics and payment-processing specialists provide additional incentive to consider this solution. We offer Advisory Services that specialize in the Best Practices for payment processing on SAP. We can help you build your business case to estimate your savings and risk reduction. If you are interested in these services or our payment processing solutions, contact Warren Norris, warren@titanconsulting.net, 972-679-5183, or contact your Titan Consulting Director. You can also see additional information on our Advisory Services at Titan Consulting.